OAKVILLE, ON (Golf Canada) – The Canadian Golf Hall of Fame and Museum today announced that amateur and professional golf standout, Rod Spittle, as well as celebrated collegiate golf coach Herb Page have been selected for 2019 induction into the Canadian Golf Hall of Fame. Spittle, 63, from Niagara Falls, Ont., will be inducted in the player category, while the 67-year-old Page, who is a native of Markham, Ont., will be inducted as a builder for his accomplishments as a collegiate golf coach with the NCAA Division I Kent State Golden Flashes. With their inductions, the pair become the 82nd and 83rd honoured members of the Canadian Golf Hall of Fame. With his induction, Page becomes the 25th person inducted into the Canadian Golf Hall of Fame’s builder category and the first-ever coach. 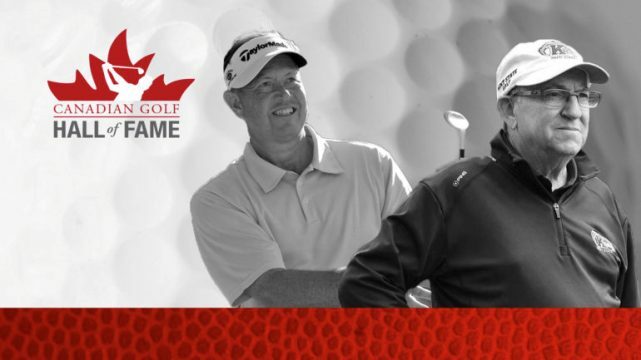 Spittle and Page officially join the Canadian Golf Hall of Fame during an induction ceremony that will take place Tuesday, June 4th, 2019 during RBC Hall of Fame Day as part of the 2019 RBC Canadian Open on the grounds of Hamilton Golf and Country Club. 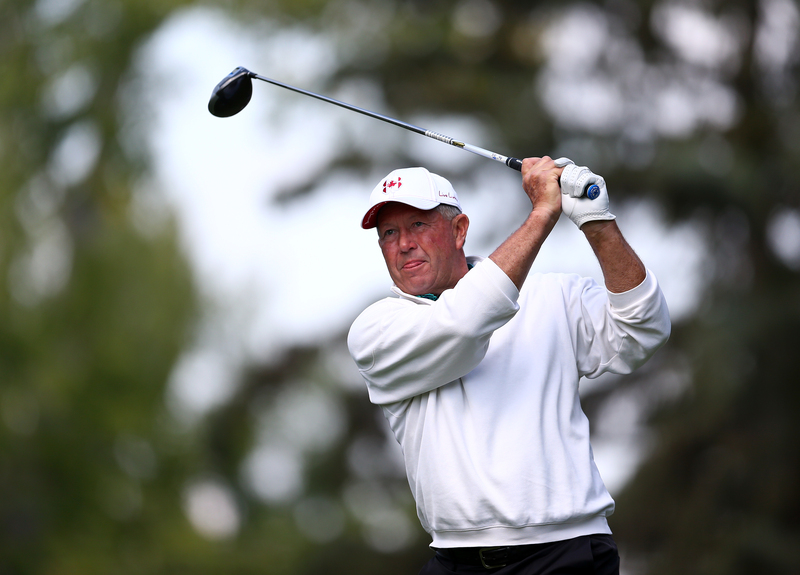 Born July 18, 1955 in St. Catharines, Ont., Rod Spittle had a successful amateur career, finishing runner-up at the 1973 Canadian Junior and winning the 1977 and 1978 Canadian Men’s Amateur Championships while playing Division I golf at Ohio State. Provincially he also helped Ontario win back to back Willingdon Cups (1977-78). During his collegiate golf career, Spittle helped the Buckeyes win the BIG Ten Championship three consecutive years (1976-1978) alongside teammates John Cook and Joey Sindelar, who both went on to enjoy successful professional golf careers that included PGA TOUR victories. After graduating in 1978 with a degree in Business Administration, Spittle opted to focus on supporting his family by selling insurance for 25 years and continuing his passion for the game in amateur golf. He won a pair of Columbus (Ohio) District Amateur Championships (1989 and 1987) and three Columbus (Ohio) District Mid-Amateur titles (1994, 1995 and 1997). He went on to claim the Ohio Mid-Am Championship three times (2000, 2001 and 2003) prior to turning professional in 2004, shortly before turning 50. Spittle and his wife, Ann, left their regular jobs behind and made a 5-year plan to fulfill the dream of playing professional golf. In 2009, four years into that plan, Spittle’s goal of being a full-time Tour professional took a severe hit after he failed to secure PGA TOUR Champions status and did not play in a single event. In 2010, the final year of the five-year plan, Spittle was forced to Monday qualify into events. Playing with limited status, Spittle got into only five events the entire 2010 season. He Monday qualified into the final event of the year, the AT&T Championship, and in a storybook ending, he played stellar golf all week and beat Jeff Sluman in a playoff for his first-ever professional title. Just like that, his dream of playing professional golf, nearly dead and gone, gained new life with a full exemption for 2011 as a PGA TOUR Champions winner. In 195 starts over his 13-year PGA TOUR Champions career, Spittle missed just five cuts and earned more than $4M in prize money. He never missed more than one cut in any year, and played nine full seasons without missing a single cut. He had a pair of runner-up finishes, a pair of third-place finishes and had 23 top-10s. He played his final PGA TOUR Champions event on home soil, finishing T17 at the 2018 Shaw Charity Classic. On a personal level, he and his wife Ann have three children (Leslie, Steve and John) and seven grandchildren. The Spittle’s proudly support Special Olympics initiatives in their hometown of Columbus, Ohio. Spittle was inducted into the Ontario Golf Hall of Fame in 2013. Born March 16, 1951 in Markham, Ont., Herb Page has been a fixture on the Kent State University campus since arriving as an undergraduate three-sport student-athlete (golf, football and hockey) in 1970. Nearly 50 years later, now the university’s director of golf, Page has grown to become one of the most respected golf coaches in the world. For more than 40 years, Page has been an untiring coach to his players and a terrific ambassador for the game of golf. 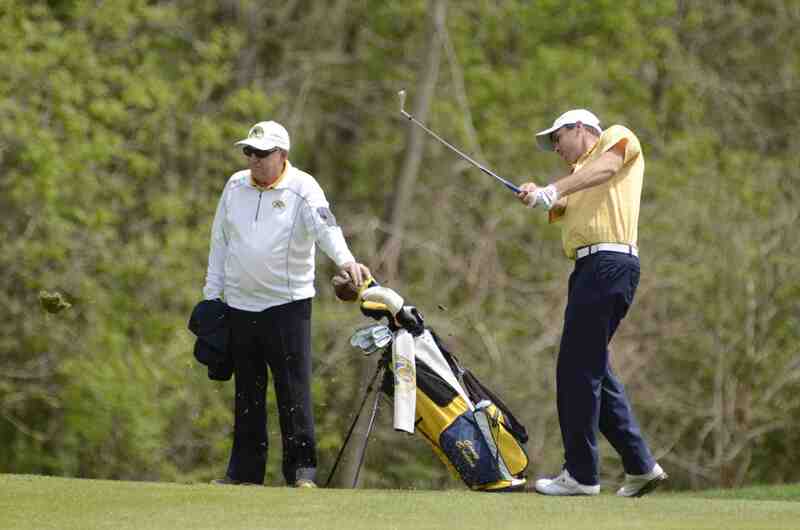 Even after decades of significant accomplishments under his direction, the Kent State Golden Flashes golf program continues to reach new heights. He has built an empire in the Mid-American Conference with a legacy that seems to grow stronger with each passing year. He has led the Golden Flashes to 23 Mid-American Conference (MAC) titles and 28 NCAA Regional appearances – advancing to the NCAA Championship 18 times during that span. Kent State won three NCAA Regional titles (1993, 2001 and 2010) and earned top-10 National finishes in 2000 (9th), 2008 (6th), 2012 (5th) and 2018 (10th). Page has garnered 24 MAC Coach of the Year awards (1983-1984, 1990-1996, 1998-2001, 2003, 2005-2006, 2009-2010, 2012-2014, 2016-2018) during his distinguished career. He helped to develop countless golfers who have gone on to enjoy successful professional golf careers and opened a pathway for numerous Canadians to pursue NCAA post-secondary golf. Canuck alums who have been coached and recruited by Page include David Morland IV (1987–1991), Bryan DeCorso (1991–1995), Ryan Yip (2002–2006), Mackenzie Hughes (2008–2012), Corey Conners (2010-2014), Taylor Pendrith (2010-2014) and Jon Mills (1998–2002), who now serves as Page’s assistant coach with Kent State. Other notables among the nearly 30 Canadians from B.C., Alberta, Ontario, Quebec or New Brunswick to play at Kent State include Brian Tisdelle, Paul DeCorso, Ron Reycraft, Chuck Crawford, Spencer Dobbs, Josh Whalen, Billy Walsh, Danny Sahl, Mark Bourgeois J.P. Paiement and Dustin Risdon as well as current player Johnny Travale and Chris Vandette who has committed to the school starting next year. Page, who coached two PGA TOUR winners, also mentored Kent State graduate Ben Curtis, who claimed the 2003 Open Championship as well as a runner-up finish at the 2008 PGA Championship, before retiring from competitive golf to open his own golf academy. He also played an instrumental role in the 1997 launch of the women’s golf program at Kent State, opening a post-secondary for path for Canadian women from B.C., Alberta, Ontario and Quebec including Jennifer Ha, Kira Miexner, Josee Doyon, Taylor Kim and Kirby Dreher as well as Veronique Drouin who is Women’s Head Coach at Oklahoma and Jan Dowling who is Women’s Head Coach at Michigan. Among his many career honours and achievements, Page has been inducted into the Golf Coaches Association of America Hall of Fame (2003), Northern Ohio PGA Hall of Fame (2005), Northern Ohio Golf Association Hall of Fame (2012) and Ontario Golf Hall of Fame (2012). He is a past winner of the Golf Coaches of America Labron Harris Award (2008) and was selected to coach the International team at the 2018 Arnold Palmer Cup. Page and his wife, Dr. Paula Treckel, reside in Kent, Ohio.